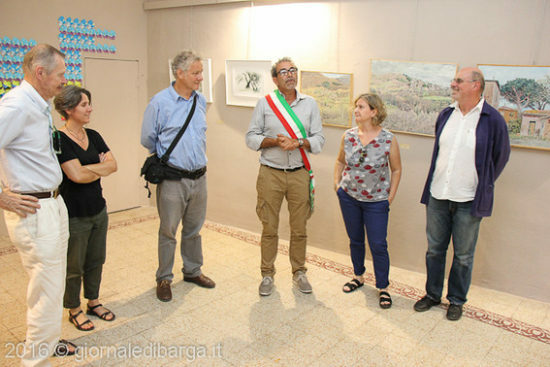 Gabrial Feld (Chief Critic, European Honors Program) was invited to install his work at the Galleria Comunale of Barga, Italy as part of the show Paesaggi Ora (Landscapes Now) which opened in July. The title of Feld’s piece is Ritratti di paesaggio (Portraits of Landscape). Currently, Feld is resident in Barga learning multi-plate color etching with the master printer Swietlan Kraczyna (BFA ’62) who is not only a RISD alumnus but also a member of one of the earliest classes of the European Honors Program. Feld’s work in Barga was supported by the RISD Professional Development Fund.